On 26 March 2016 the printed Independent newspapers died. 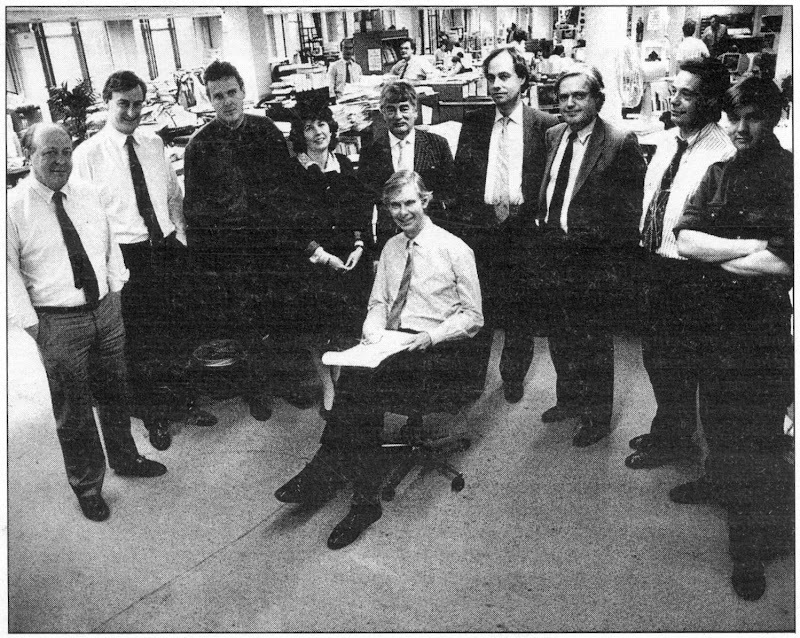 As Michael Daley reports, it was a poignant moment for those like himself who were in at the Great Project’s beginning in 1986 and had experienced the rush of excitement as the new newspaper’s pioneering innovations rapidly achieved commercial success and professional acclaim. The paths of the Independent and ArtWatch were cross-linked for over two decades. The Independent was launched in 1986 as a newspaper in which much had been rethought and with firm editorial convictions that there should be no “freebies” (copy produced in exchange for free holidays or such) and no sacred cows – least of all with the royal family. At that date, twenty years after the heroic rescue operations that followed the flooding of Florence, one of the most sacrosanct received wisdoms was that art restoration was a safe and miraculous means of rejuvenating old works of art. I had left the Financial Times to work as the Independent’s principal illustrator shortly before the launch. 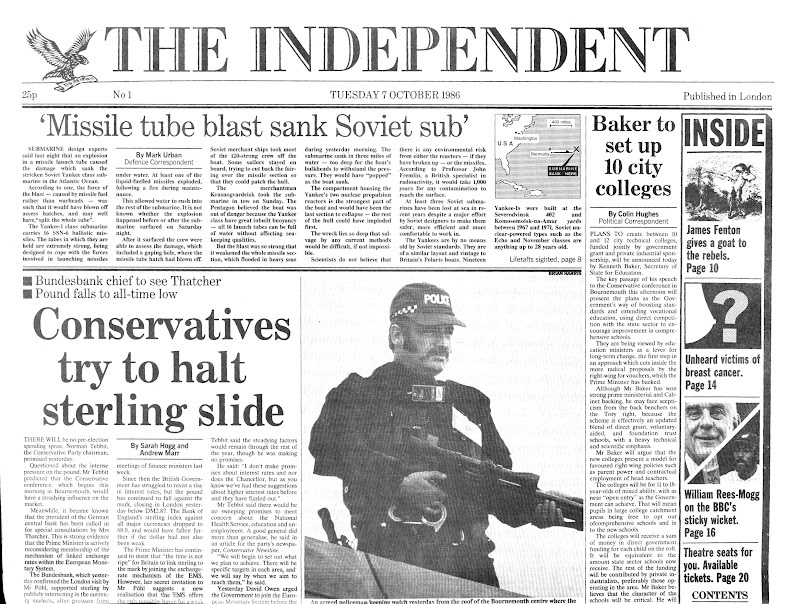 Above, the first issue of the Independent which was published on 7 October 1986. Today, criticisms of even the grandest restorations are commonplace and no longer prompt ridicule and abuse. To the contrary, it is now restorations that attract ridicule. (See “And the World’s Worst Restoration is…”) In the brain-stretching BBC2 television quiz show Only Connect, a recent winning answer was: “They are all paintings that have been ruined by restorers”. Strictly speaking as the host, Victoria Coren, advised (on legal advice no doubt ), the correct answer was: “They are all paintings that have been controversially restored”. Controversially for sure – all had been condemned on this site: the Monkey-faced Christ; the Louvre’s botched Veronese nose jobs; the reconfigured-little that survived the last restoration of Leonardo’s Last Supper (see below); and the “Disney-fied” repainting of an ancient Chinese mural. The Guardian now asks readers to submit photographs of the worst restorations they have witnessed: “Restoration disasters around the world: share your pictures and stories”. Auctioneers and dealers place premiums on little- or never-restored works, not vice versa. No one would dream of producing a television or radio series called “Your Hundred Best Restorations”. No one (“sleeper” hunters aside) would celebrate a many-times restored painting. How we got to this stage is a long story. The Independent’s contribution to it was crucial, honourable and is worthy of greater recognition. 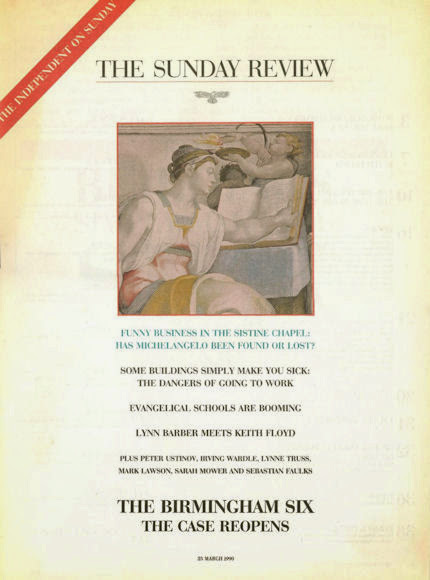 On 7 October 1988, Campaign magazine observed and reported on the Independent’s workings and progress at the time of its second anniversary, by which date it had exceeded its initial target of 375,000 sales. 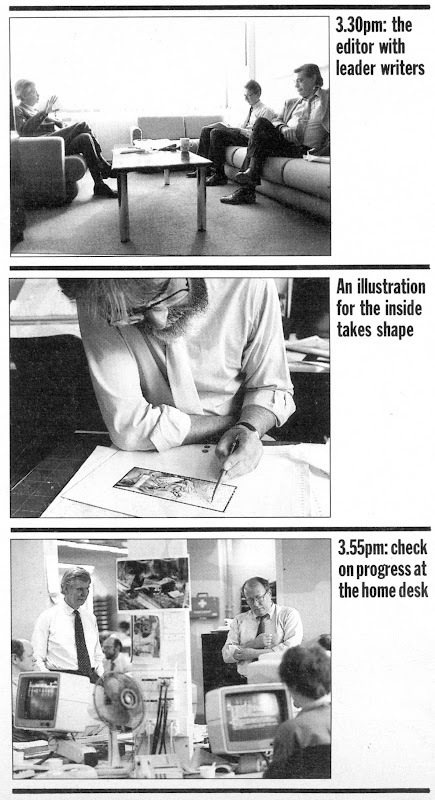 Below, Campaign’s photographer followed Andreas Whittam Smith’s day, showing here (top) a meeting with the leader writers, Roger Berthoud and John Torode; (centre), the principal illustrator, Michael Daley, at work; and, (bottom) with the home desk editor, Jonathan Fenby. The smart and distinctive look of the Independent contributed greatly to its initial success. Much as everyone in the city and business had felt impelled to sport the pink Financial Times, so everyone in advertising, design, architecture, photography and the visual arts seemed to have taken to the Independent. The newspaper – the first to exploit digital typesetting – was printed on good white paper that had little “show-through” from adjoining pages. By editorial requirement, its photography and graphics were distinctive and of high professional quality. Above, seven drawings for the Independent, by Michael Daley. If the conceptual challenges on the Independent were exhilarating, deadline pressures meant that there was rarely more than 24 hours from inception to delivery of a drawing. The ink drawing technique (which I had developed during the previous four years on the Financial Times and the Times’ educational supplements), aimed to exploit as much as possible the easy extremes of graphic art with solid blacks (quickly brushed) and pure whites (paper left bare). Between those polar graphic opposites, slow-to-realise shading was judiciously deployed with cross-hatched lines and stippled dots. 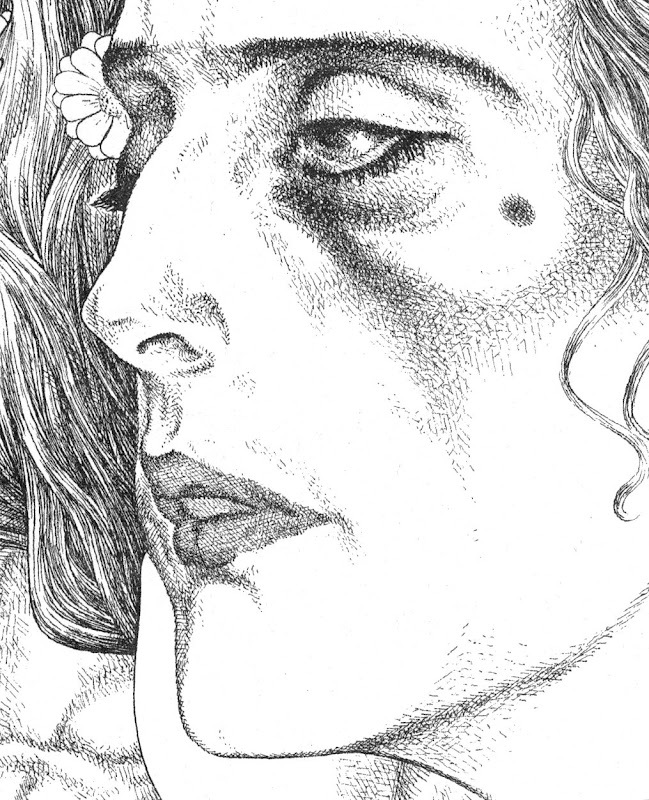 To speed output, all preliminary drawing was made in pencil on the finished sheet and then directly inked over so that the sketching stage could be completely erased. 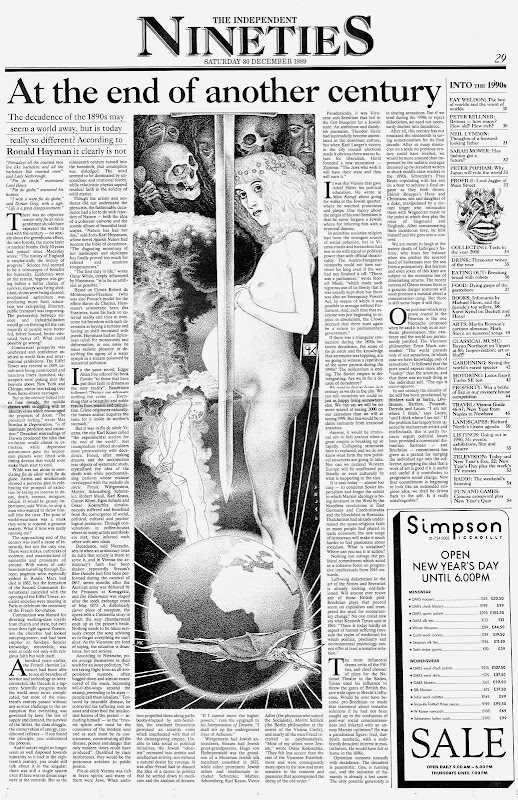 I had come to recognise that a drawing for reproduction in a newspaper is not a thing-in-its-own-right but a piece of page furniture that must live variously with the “grey” of closely set print texts, the assertive blacks of headlines, and, the graphically strident clamour of advertisements. 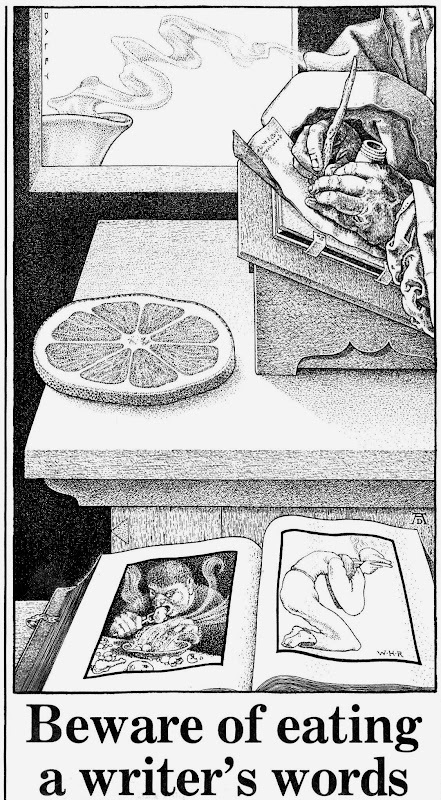 The novelty of the Independent’s employment of an illustrator who had trained principally in sculpture and etching swiftly resulted in a press award and commissions from book publishers and advertising agencies. The sweetest and most surprising outcome was earning the respect as an illustrator of established practising fine artists. 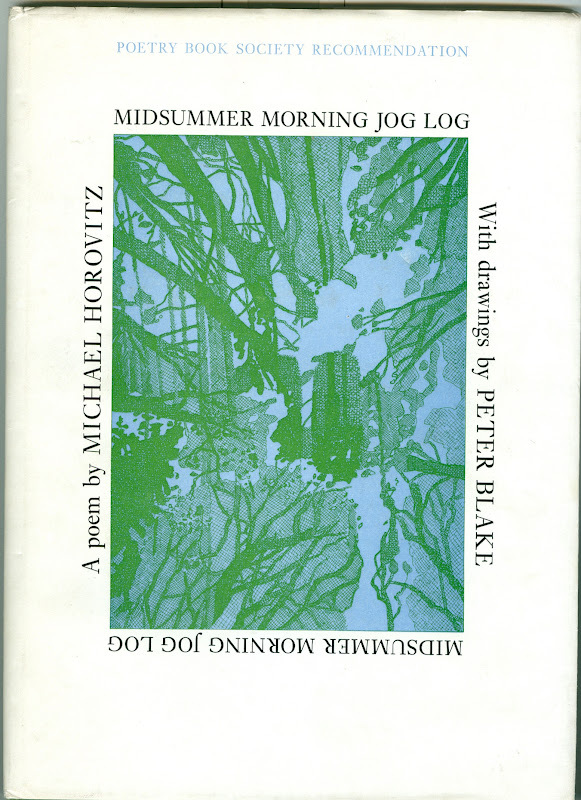 One of the most generous was Peter Blake, who sent a kind note of thanks and respect with a book of illustrations he had made for Michael Horovitz’s poem of celebration, love and homage to Frances Horovitz. Blake had surmised (correctly) that I, like he, was an admirer of Maxfield Parrish. Such recognition almost immediately took on an art political significance in an entirely unanticipated way. 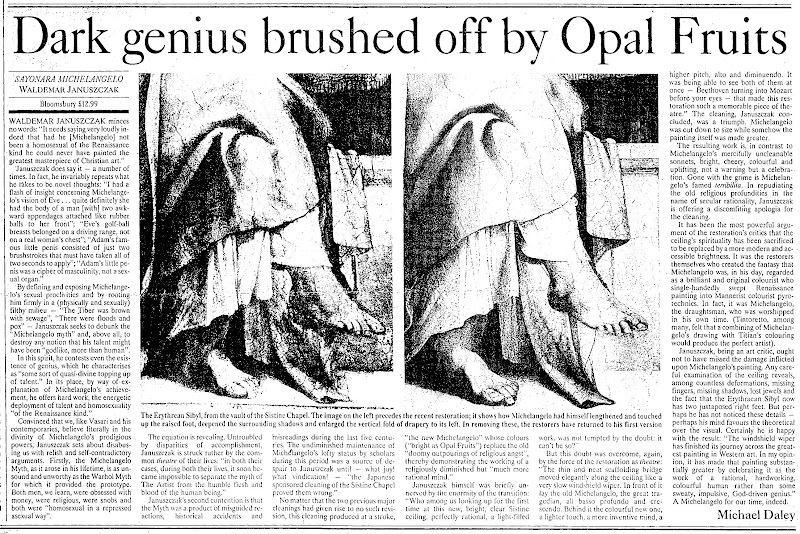 Within a month of receiving Peter Blake’s gift, the Sunday Times Magazine published an article on the restoration of Michelangelo’s Sistine Chapel ceiling frescoes. It told of condemnation from artists and an art historian, Professor James Beck of Columbia University, New York. Against them, the art historical establishment claimed momentous restoration “discoveries” and “revelations” that were said to require nothing less than a rewriting of five centuries of art history. 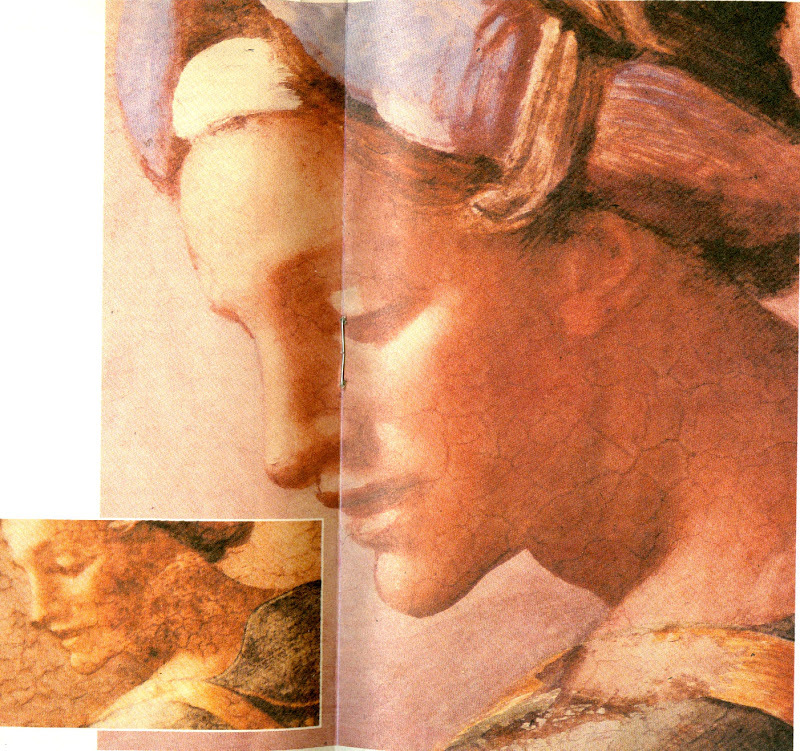 The profound changes that all parties conceded had been achieved by repeatedly brushed-on and washed-off applications of a ferocious solvent gel that had left Michelangelo’s painting a pale and deformed reflection of its former self (see below). 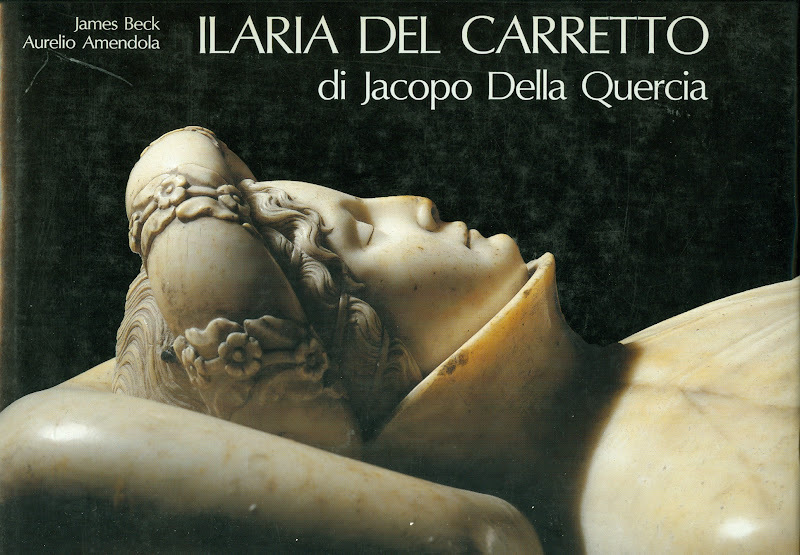 Beck was being likened to the man who refused to look through Galileo’s telescope for his refusal to acknowledge as a miraculous “recovery” a hitherto unsuspected and nowhere-recorded “New Michelangelo”. “We didn’t need one”, Beck had retorted, “There was nothing wrong with the old”. It so happened that having switched to illustration from art school teaching and fine art practice in 1982, working long hours, six or seven days a week left little time for travel or even museum attendance. Partly in substitution, I had kept touch with art through books and, as an illustrator, took every opportunity to incorporate work by artists I admired. These ranged from classical Greek sculpture, through Michelangelo, to certain favourite modern artists like Gustav Klimt, the painter/sculptor Max Klinger and Picasso (on our homage to Klimt and Klinger, see “At the end of another century” above). 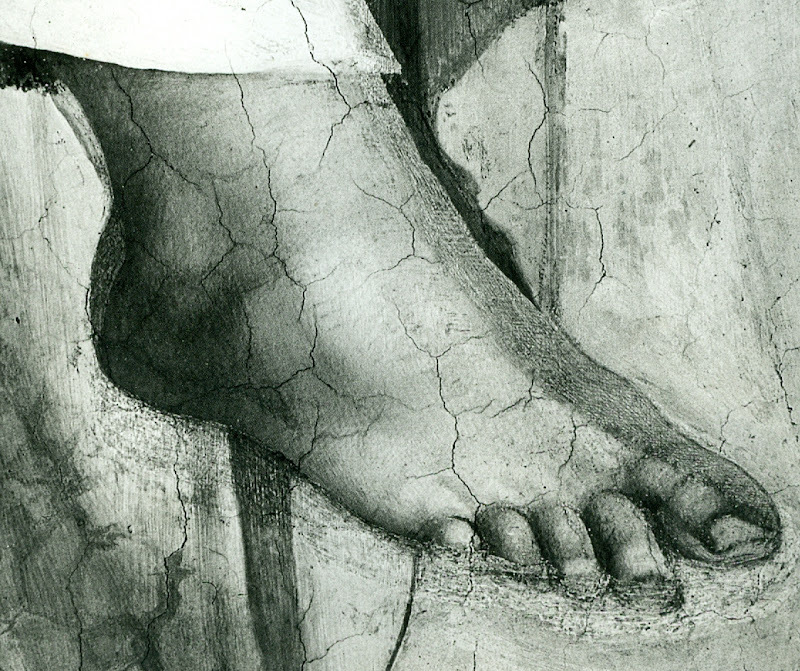 To copy the work of another artist it is necessary to look closely and attentively at it. You cannot draw what you have not analysed and understood. 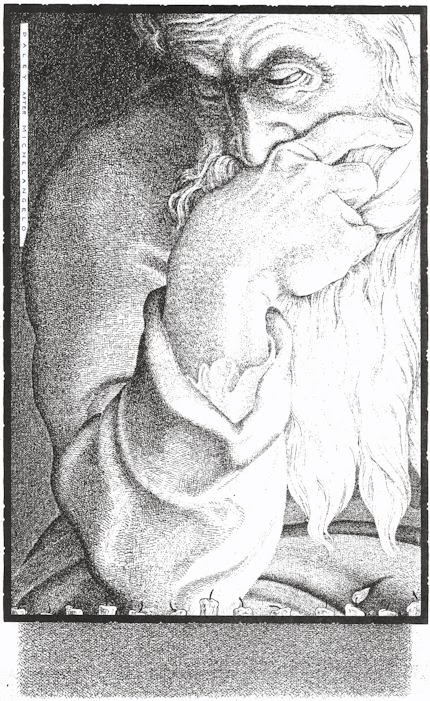 Indeed, drawings produced after the works of others are tests of understanding even more than of skill. Spending a working life both copying the various uses of shading made by other artists, and applying one’s own marks to paper so as to create plastically coherent and expressive tonal relationships, sharpens the eye and confers an ability to detect injuries to original tonal relationships in the works of others. This should not be considered surprising or remarkable: those who organise and dispose marks on surfaces, are perfectly placed to recognise the obverse – which is to say, the adulteration or deconstruction of artistically purposive values during so-called restorations. 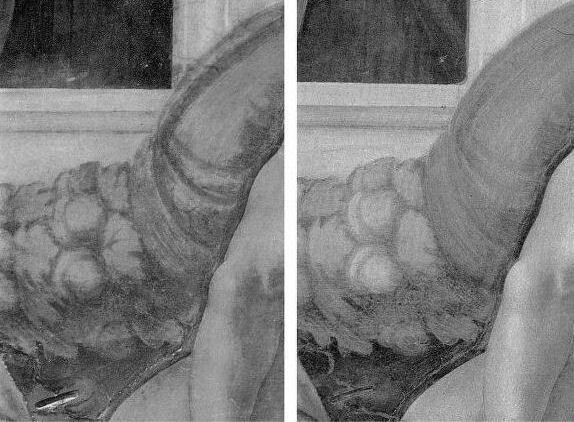 Above, A detail shown in greyscale and in colour of a section of Michelangelo’s Sistine Chapel ceiling, as seen before (left) and after cleaning in the 1980s. 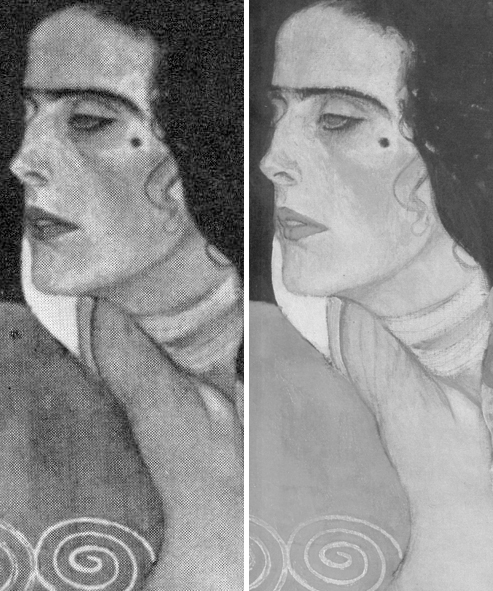 To identify restoration injuries it is helpful to place photographs of small sections of a restored work directly side-by-side (as in the Klimt Judith above, where the relative weakening of the spirals at the bottom, for example, should be apparent to the most untutored eye). 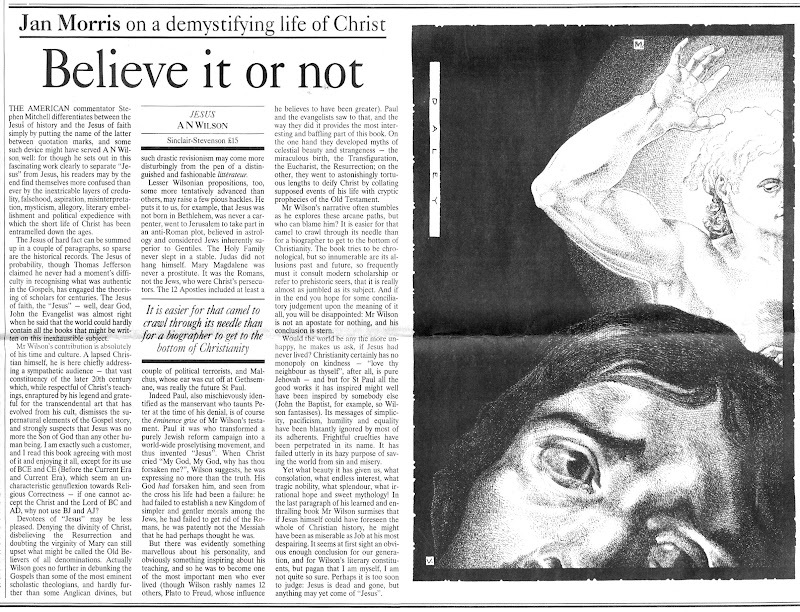 The above detail of the Sistine Chapel ceiling was reproduced in the December 1988 Sunday Times article. It was immediately clear to me that the cleaning had weakened and in some places altogether erased bona fide features of shading and specific details like veins on the giant symbolic oak leaves. I asked the Independent’s arts editor if I might write a short article explaining why Prof. James Beck was right and the art historical establishment was wrong. On the face of it, this was a perfect Independent “questioning-of-authority” story. Unfortunately, the request could not be granted because the paper’s then art critic had recently visited the restorers’ scaffold in the chapel and had judged the restoration… a success. His art critical authority could not be challenged by a working artist with clear “standing” within the paper. 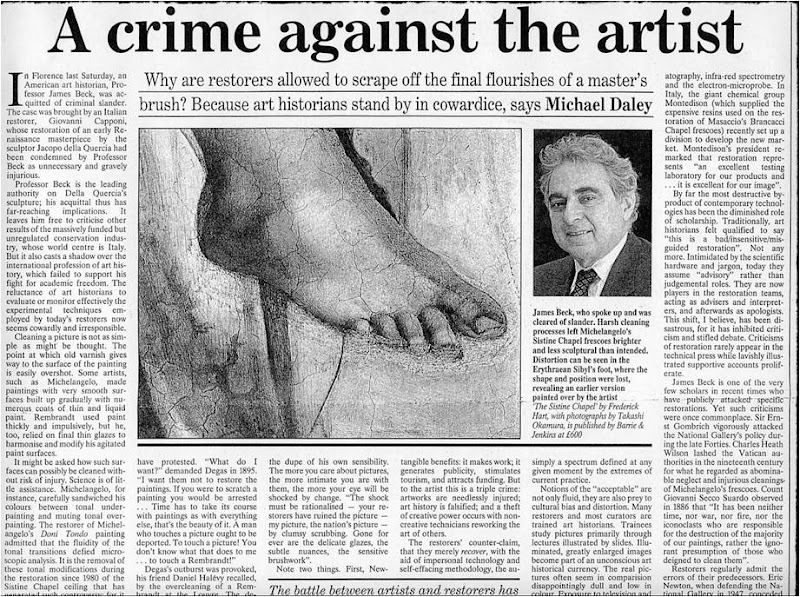 Fortunately, when the Independent on Sunday was launched in 1990, its arts editor, Michael Church, commissioned a piece showing the damaging consequences of the restoration. 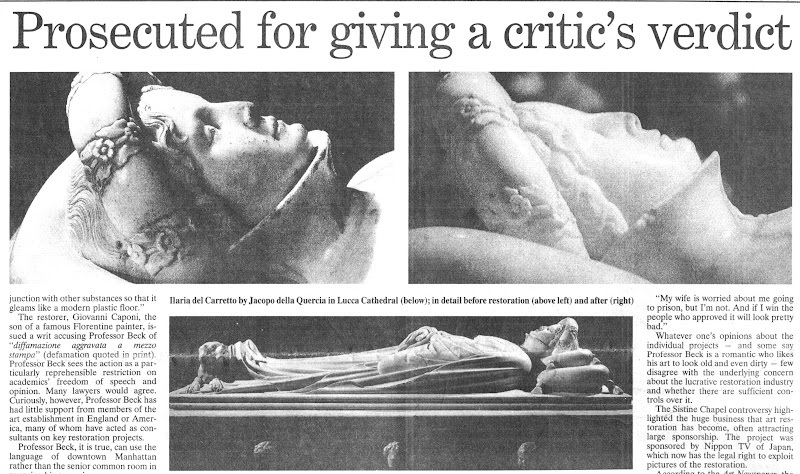 Many criticisms of the restoration had previously been reported in the press but no one before had been given space in a national newspaper to set out evidence of injury. That article proved to be a game-changer. Newspapers are complex entities comprised of many distinct departments that speak to particular constituencies. Dedicated arts journalists must swim in the art world and negotiate with its players and institutions. For them, breaking the “rules of engagement” can incur ostracism and worse. Those who play by the rules can be rewarded with exclusive stories and material. They might receive invitations to accompany globe-trotting museum directors on blockbuster shows. They might be invited to become embedded within a conservation department so as to counter anticipated criticisms. News journalists are less constrained. They are licensed to get and follow stories; to look for bodies; to follow money; to report mishaps and so forth. 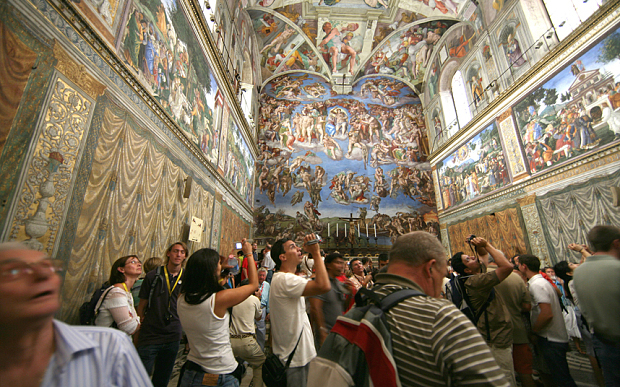 When the Independent on Sunday article on the Sistine Chapel restoration was published the news editor on the daily Independent was intrigued by the magnitude of the controversy and he commissioned the above pair of articles. Despite such strong editorial support the articles nearly failed to see the light of day. 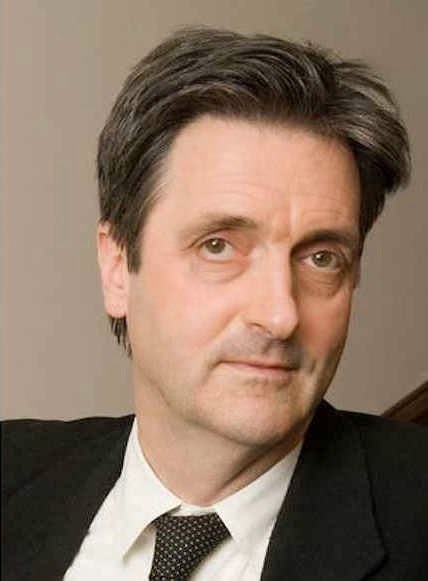 Even though I had professional “standing”, the paper’s arts correspondent, David Lister, was taken aback by the high-level hostility and abuse levelled at me and Professor Beck. He became fearful of challenging key and venerable sections of the art establishment. How could the two of us be right and all of them wrong, he asked? It was a fair and sensible question: newspapers can never afford to back losers and must always invite responses from those under attack. By way of reassurance, I showed the catalogues to the 1969 Olivetti-sponsored Frescoes from Florence travelling exhibition to London and New York. This exhibition consisted of murals that had been detached (on grounds of conservation) from buildings in Italy and then mounted on panels as stand-alone works of art that might be flown around the world – much as restored medieval glass from cathedrals is being despatched today. Both catalogues groaned under the weight of luminaries included in the exhibition’s “Committees of Honour”. 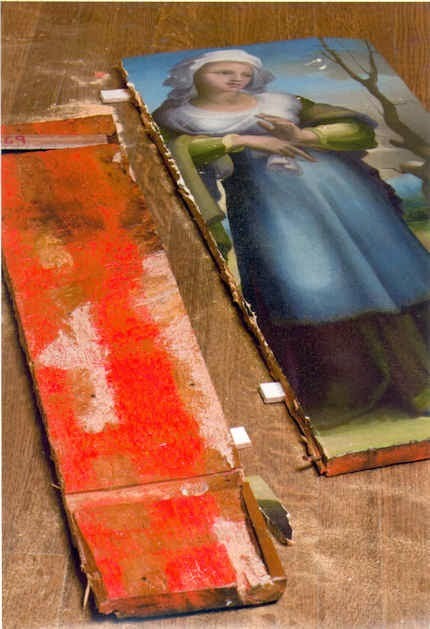 At the time the show had been a sensation on two continents but I was able to show a recent Burlington Magazine editorial which condemned the detachment of frescoes from buildings as a barbarous and now discredited practice that had injured the paintings and buildings alike, and left many frescoes mouldering like rolled-up like rugs in church and chapel basements. The procedural obstacle was cleared and both articles were published. 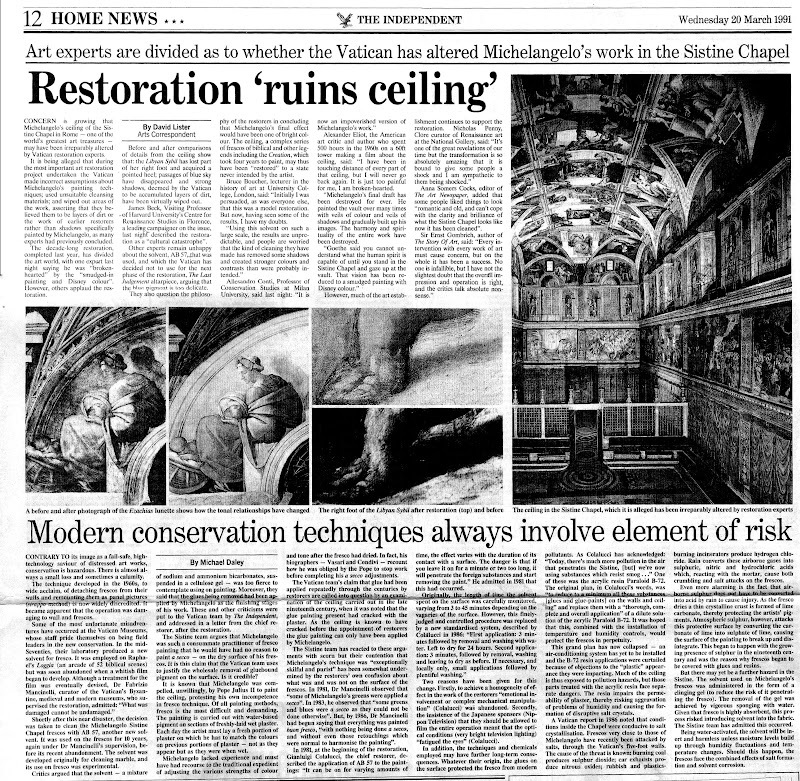 The sky did not fall in and although squeals were heard, thereafter, the paper had confidence and trust in my judgements and accounts, enabling me to write further on the Sistine Chapel debacle and restorations at the National Gallery – including a review (below) of a book extolling the Sistine Chapel restoration that was written by the Sunday Times’ art critic, Waldemar Januszczak. Below, part of David Lister’s 8 November 1991 article. Like the editor of the Burlington Magazine, the judge at Beck’s trial in Florence knew that he was going to lose. Indeed, he declared an intention to find him guilty to the prosecuting lawyer, as they left the court together discussing the case at lunchtime after the trial’s first morning session. “Eh, but I shall find him guilty” he said. Fortunately, he was overheard by an off-duty policeman who was working as an intern for Beck’s lawyer. When challenged, the judge refused to recuse himself but eventually he disappeared and Beck, under a new judge, was soon acquitted. 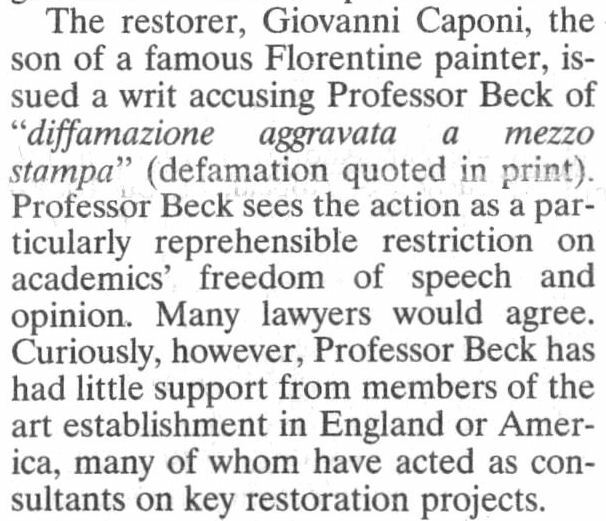 At the time we were able by courtesy once more of the Independent (22 November 1991) to raise a cheer for Beck and for the blow he had struck for the free expression of scholarly judgements on matters of artistic welfare and integrity. But this had been an extremely close call and, while contemplating a possible jail sentence, Beck decided that a dedicated international organisation was needed to speak for the interests of the world’s great and insufficiently protected works of art. A year later ArtWatch International was founded in New York. On the day of publication of the Independent’s 22 November article, Grant McIntyre, an editor at the venerable and (then) still independent publishing house John Murray, telephoned to ask if there might be a book on the trial and on matters of restoration. There was and, following its initial publication in 1993, it ran to many subsequent editions (see below). 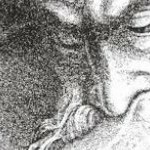 The book soon faced a formidable hurdle: it was to be reviewed in the New York Review of Books by a formidable Renaissance scholar, Professor Charles Hope, a supporter of the Sistine Chapel restoration. In the event, Prof. Hope was persuaded by the art historical and technical proofs of injury we had amassed. Moreover, he held that Beck had performed an admirable and brave service to scholars and scholarship alike. He also pointed that while many scholars of his acquaintance had initially supported the restoration enthusiastically, many had recently fallen silent on the subject. After the trial turmoil and the creation of ArtWatch International, I continued to draw the art I loved and to criticise restorations in the Independent. After the horrors on the ceiling, we later witnessed the injuries to Michelangelo’s Last Judgement. 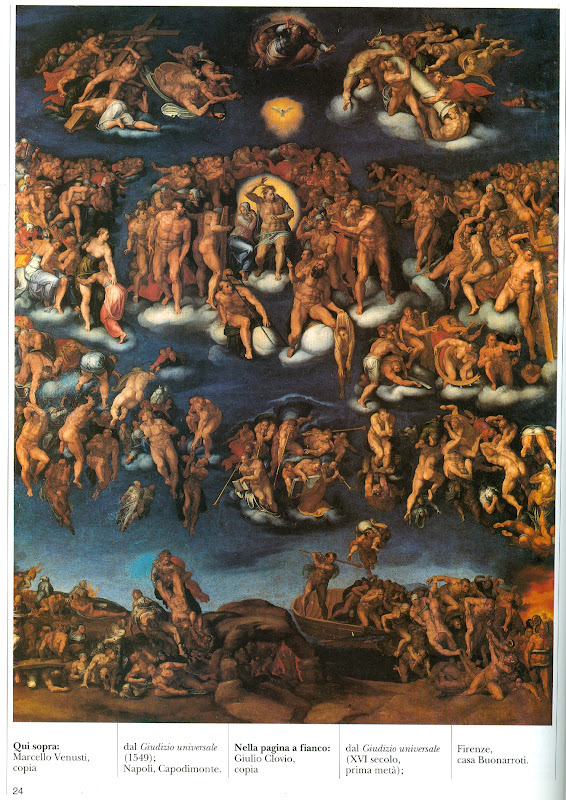 There are still institutionally ensconced scholars and administrators who are in denial on the injuries at the Sistine Chapel and insist against all evidence – such as is found in the contemporary painted copy of the “Last Judgement” by Marcelo Venusti shown above – that Michelangelo had painted in today’s vapid tones and hues. In part this New Pallor is not only the product of the last restoration but also of the quarter of a century since in which the interactions of tourism-induced airborne pollution and chemical residues of the cleaning have been devouring the fresco surfaces. So great has been the debilitation that, in addition to a new air-conditioning system, thousands of colour-enhancing LED lights have been installed on the ceiling. 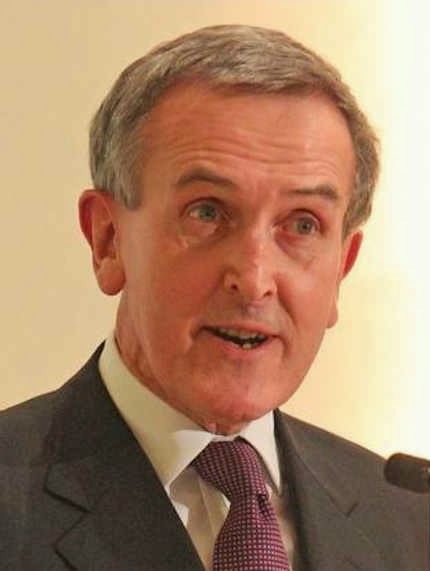 The Independent gave fair and generous voice to previously unheard criticisms. By doing so it made an invaluable contribution to artistic health – not only directly but indirectly by opening up the rich, hitherto unexamined field to the rest of the press. The Times, the Sunday Telegraph, the Daily Telegraph, the Guardian and the Observer and others all saw the importance of the subject and recognised that “news” is that which somebody, somewhere, would prefer not to see published. The importance of newspapers in this regard cannot be exaggerated – our colleagues in the United States and France cannot believe that newspapers can be so challenging to entrenched authorities in the arts. The vigour of the British press can also be seen by comparison with our broadcast media which remains perpetually asleep on the job, treating the visual arts as little more than a gifted succession of diverting, institution-promoting “Good News” stories. It is a tragedy that the lights should have gone out on a newspaper that had caused justifable discomfort in so many art world recesses. As described above, it is a measure of the success of the campaigning that first gained exposure in the Independent that we now enjoy a quite different and healthily expanded art critical universe. We thank the Independent for good times past and wish it all good fortune in its new streamlined format with global outreach at The Independent. 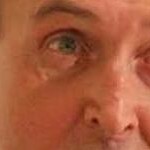 Below (top): The last Independent coverage of ArtWatch UK by Dalya Alberge on 14 March 2012. 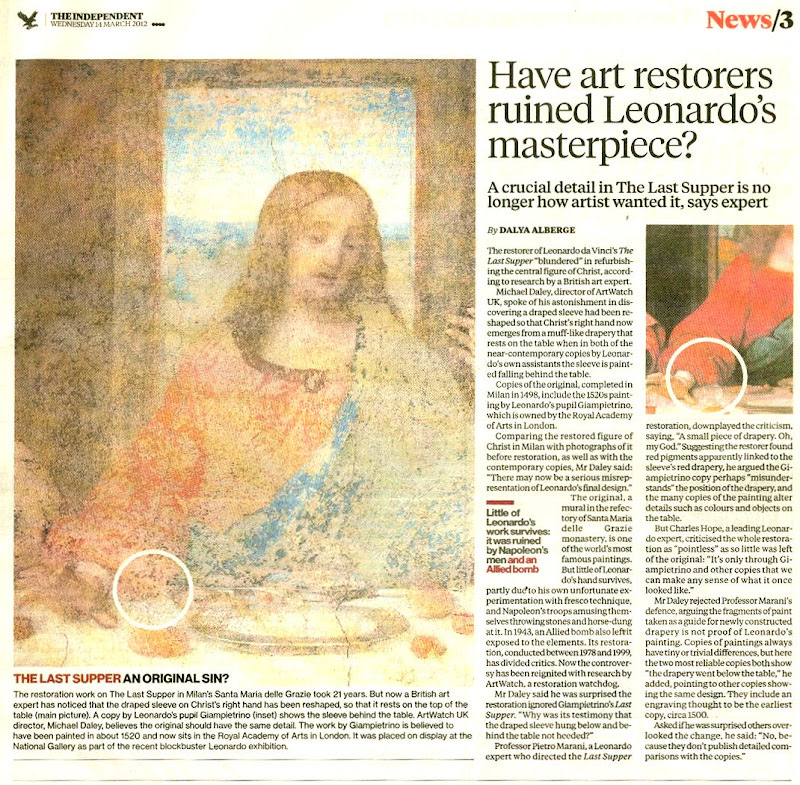 (On the restoration of Leonardo’s Last Supper, see: A different Leonardo and, The Law of Diminishing Returns ); below (bottom) the last editions of the Independent on Sunday and the Independent. Our old journalistic alma mater, the Independent on Sunday, is to chop its arts coverage, the Guardian Media reveals. How very sad. 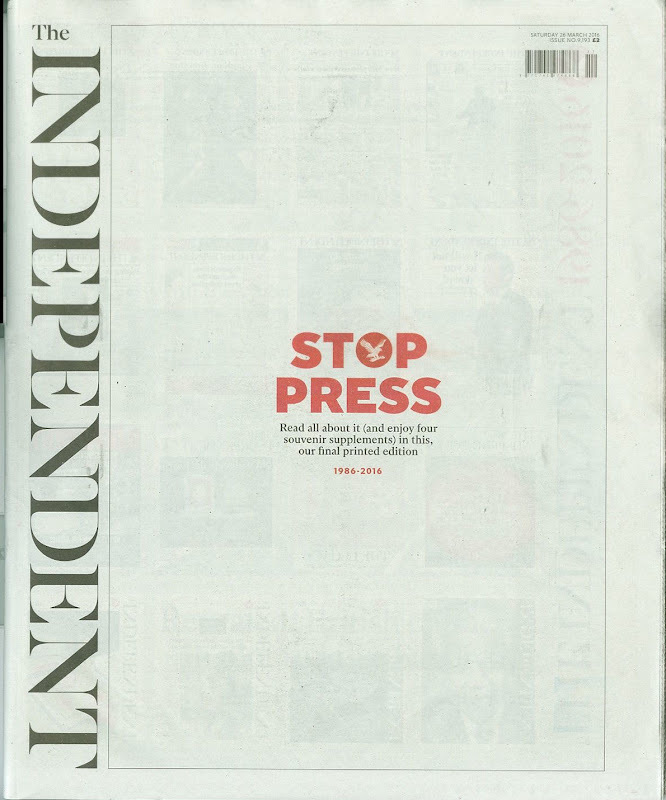 The treatment of the arts in the Independent and its younger sister, the Independent on Sunday earned instant credibility when the papers were launched. If we may say so, in a ground-breaking article of 25 March 1990, (see our post of May 27, Fig. 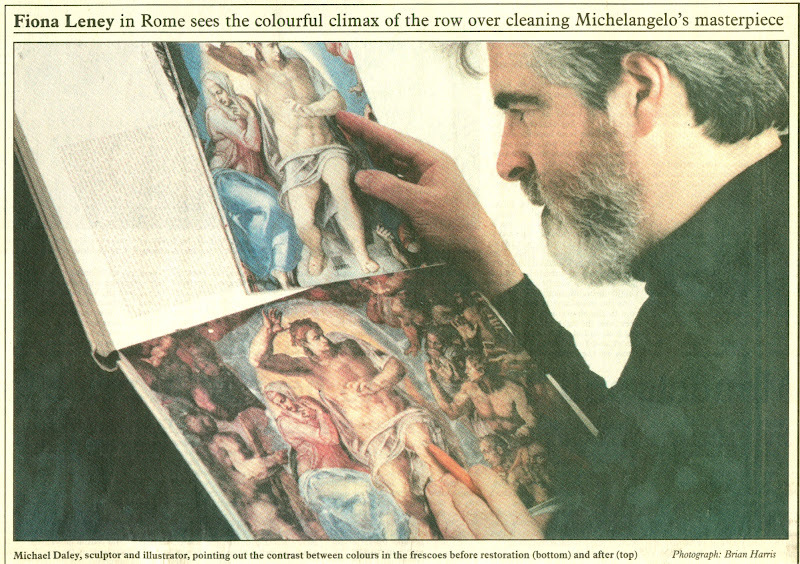 12, “Funny Business at the Sistine Chapel: Has Michelangelo Been Found or Lost?”), the Independent on Sunday, under its arts editor, Michael Church, carried our first of many exposes on the destructive restorations of Michelangelo’s Sistine Chapel ceiling and at the National Gallery. 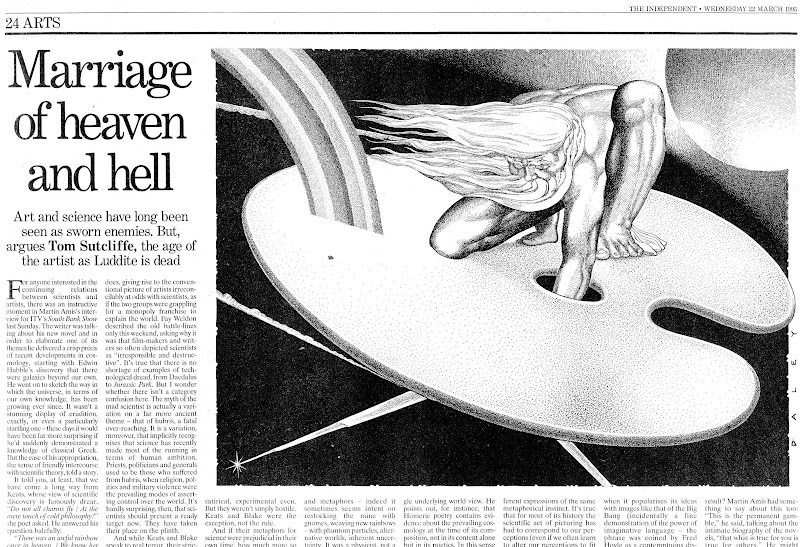 From the start, under its founding art editor, Michael Crozier, the two newspapers’ uses of photography and illustration were bold and invigorating. 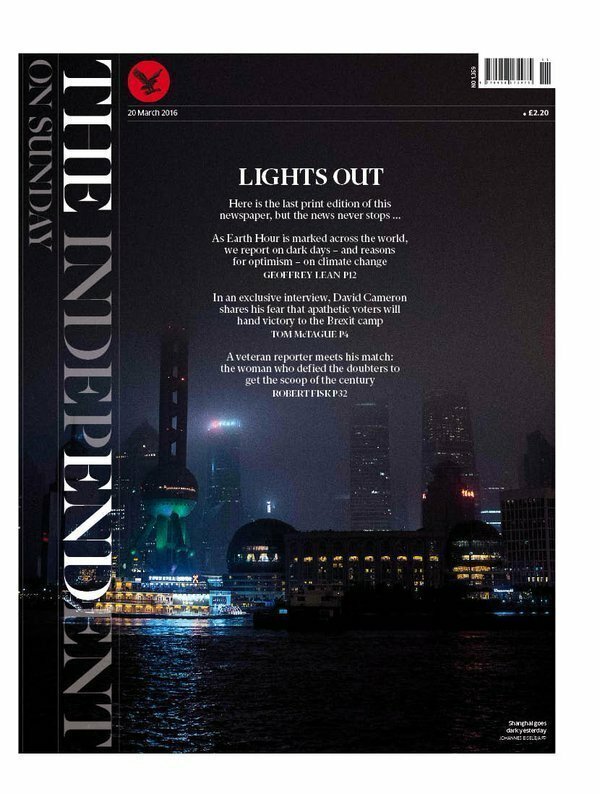 The Independent’s first but now-departing arts editor, Tom Sutcliffe, assembled a crack array of stylish contributors – Mark Steyn, Sebastian Faulks, Bayan Northcott, Fiona Maddocks, Mark Lawson and Andrew Graham-Dixon, among many. It’s all desperately sad. This latest cull of critics of art, film, music and theatre shows a costs-cutting newspaper devouring its own soul. For a few decades the arts had come to matter there more than anywhere in Fleet Street. 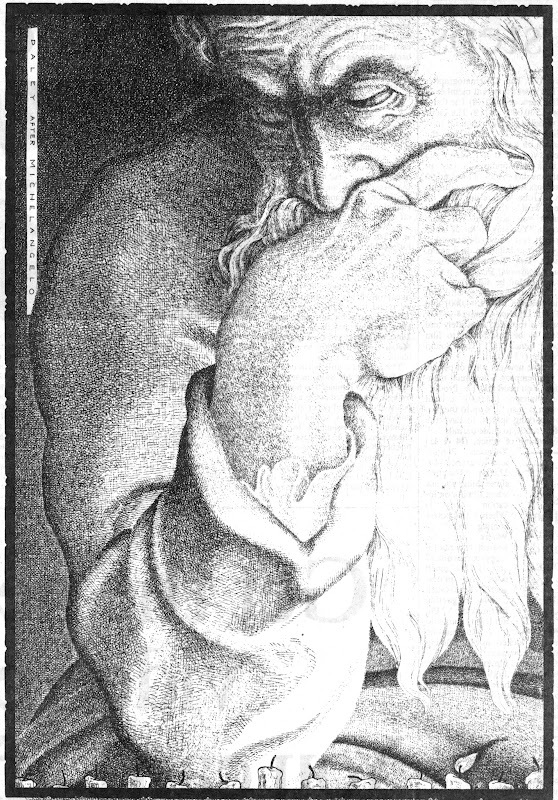 Indeed they do – and how they do – but as tears are shed, led them be shed for all sectors of the arts, for private galleries as well as public, for all art lovers and players, and not just for, or especially for, the special-pleaders of the feather-bedded public sector that has too often seen its raison d’être to be the undermining of traditional disciplines and anything that might be taken for a conservative and un-edgy taste. 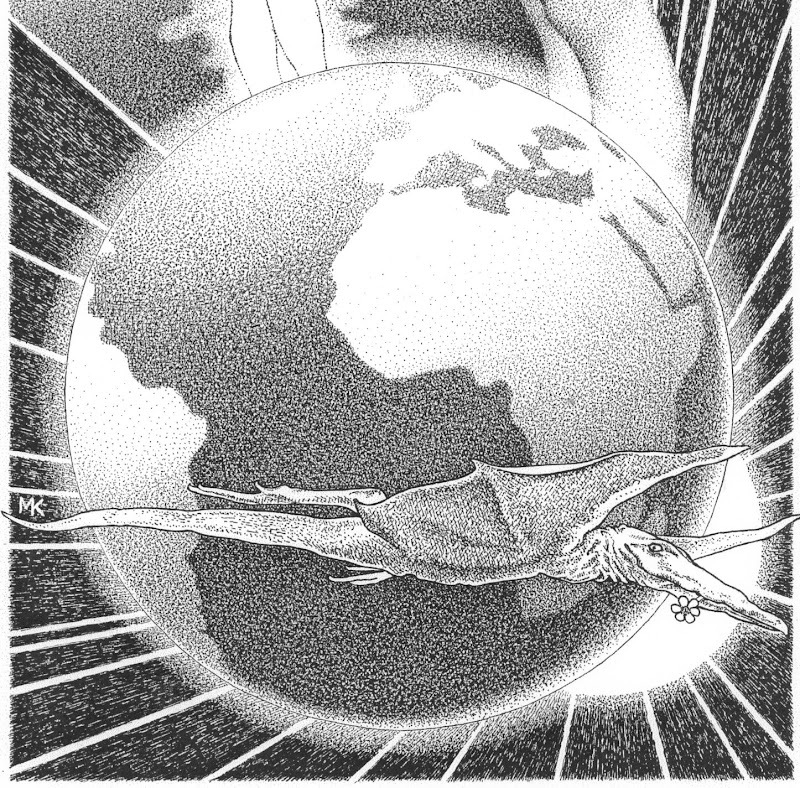 Above, Fig. 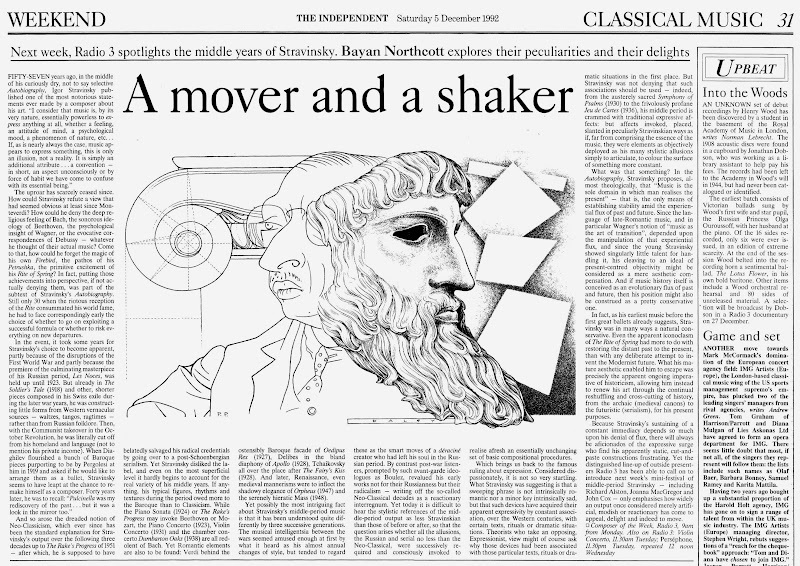 1: A (lost) drawing published in the Independent of 11 April 1992. Below, Fig. 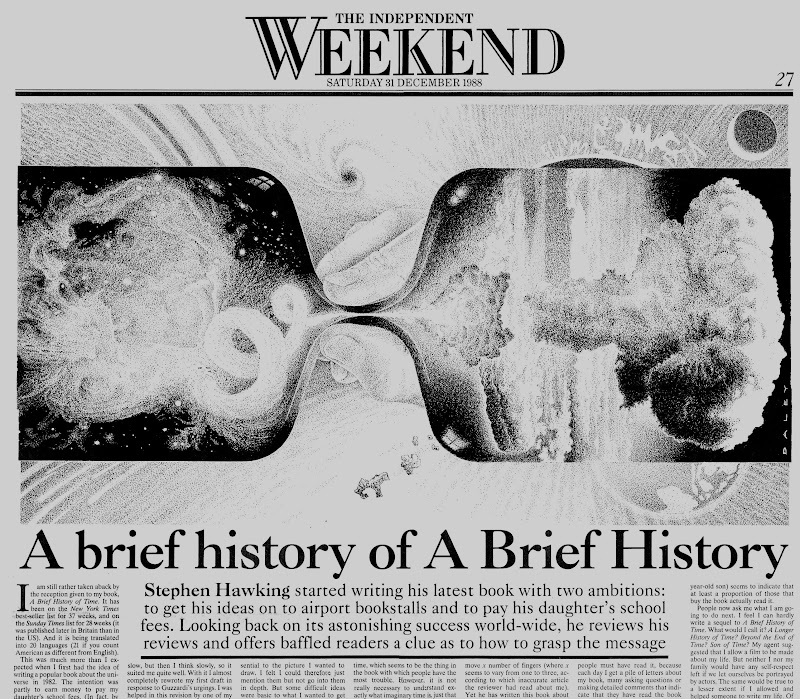 2: The cover of the Independent on Sunday’s 25 March 1990 review magazine.